Today, I ask myself again the question of all true seekers: who am I? Today I have a response. Granted, it’s a limited response, an unenlightened response, a response that defines and labels but, I’ve decided, today it’s okay because it makes me smile—it enlivens me! True, I’ve spent the last twenty years seeking “Enlightenment”—a hopeful state of peaceful non-existence—but recently it occurred to me it might serve me better to fully enjoy the journey, instead of looking only at the goal. Enlivenment, I thought in a moment of clarity, is key! I found out later I might naturally have stumbled upon a true secret. Adyashanti, a beloved and fully awakened spiritual teacher I follow, says to ask yourself along the way “what taps into your vitality center?” And that is essentially the new question that brought me to answer the age-old question with fresh eyes. I ask first, what taps into my vitality center? Immediately I know it is something other than the voices of self-hate and conditioning that can run amok inside my head. It is that which encourages me to listen, I think—that which encourages me to be compassionate and kind, to hear and respect others; to be deeply in touch with my inner self; that which dares to probe beneath the surface, to be still enough to experience an undistracted mind, to be selfless, to be attentive. It is also that which encourages me to be playful—to be light-hearted, not serious, to participate naturally without agenda, to enjoy all that life brings, good, bad and ugly, to be disciplined and organized as well as frivolous and unstructured—that which is willing and ready to say YES to life. And, it is the writer in me—that curious combination of inward soul searching through journaling and outward expression through sharing written stories. I write to remember, to record, to listen to myself. I write to pay attention to the details, to share insights and experiences. I write to experience this moment. I write to create something new, to transform and heal and I write to re-condition my response to life—to see my life’s experiences as opportunities not problems, to participate in my life instead of being a victim of it. Writing directly taps into my vitality center. I . . . am . . . a . . .
Yep. That sums up the best of me—the parts of me that tap directly into my vitality center. Just the little word alone captures for me the essence of the art of listening. Sitting zazen in our self-created yoga and meditation room each day, I set a timer (always set a timer!) and begin the process of quieting the mind. This is not a process of chasing thoughts away but rather of allowing them to be and listening—not to the thoughts that run wild—to everything else: my breath, the sounds of birds, the silence. It is the art of coming back again and again to this moment. Over the years of meditating, I have come to appreciate that in order to hear life you have to be willing to listen and in order to listen you have to be still. In the Zen tradition this means you have to be willing to shut up and sit—nothing more. No bells, no whistles. Just sit. Thoughts will come and go. Sensations will come and go. You are the cat at the mouse hole. Just waiting, watching, listening, alert. This practice of sitting, cultivates focused attention—a critical component of being enlivened whether by myself or with others. The world itself is enlivening when I notice it, when I pay attention, when I listen to it, instead of to the tired conditioned stories in my head. “Yes!” is the first thing that comes to mind. Tantrikas are known for embracing all of life, rather than repressing or rejecting any part of it. A Tantrika works to bring compassion and light to every aspect of life. A Tantrika says “yes” to life in all its beauty and chaos. This is an attitude that invites willingness and curiosity—forbearers of passion and play. Thinking of myself as a Tantrika reminds me to celebrate Life and encourages me to be light-hearted and playful, to have fun, to enjoy whatever is happening, including the messy parts. So when my husband gets that look on his face—that look that means the conversation might get tricky—I summon up the Tantrika so thankful for our years of studying Tantra, and think wait I want to say yes to this too. I want to walk through this conversation too! If it’s dark and ugly, let’s bring it into the light. Let’s trample on through the messiness together. Also (twinkle twinkle) being a Tantrika most definitely enlivens my life in the bedroom—and that is always a good thing. Asra Nomani, author of the book Tantrik: Traveling the Road of Diving Love, says a Tantrika is a woman who isn’t defined by anything, living compassionately, lovingly, blissfully, and fearlessly. I like that. It further loosens the boundaries of my own-labeled identity. Finally, I am a Witch. I’ve always been a witch. Not in an evil or even Wiccan way but rather because I believe and experience the world to be charming and filled with unseen forces for good. I am a witch because it is my heart’s desire to be in touch with the mystery of life, to add a dash of the unknown or unexpected to each moment, to know beyond a shadow of doubt that Life is goodness through and through, and to share that with others. It tickles me to imagine myself a witch in the kitchen. I find the kitchen (or my hearth, as I like to think of it) a source of great magic. My dinner soup pot cauldron allows me to nourish my loved ones with the simple but potent magic of good healthful yummy food, and I always stir a little love into my peasant dishes—that can’t hurt. Plus, around my hearth I am also often “cooking up stories” right along with the meals. Which brings me to the connection between writing and being a witch. Writing, I’ve decided, is much like casting a spell. A story can change the very experience of life for the reader, whisking them away to a faraway land, inspiring different ways of thinking, offering a fresh perspective. And as the writing spell caster, I find I must pay close attention to the elements around me, gather vital ingredients and combine them in a way that creates something new, something with the potential to heal and transform my life and possibly that of another. A well cast story engenders good magic. Yep. 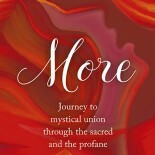 These terms, Zen Tantrika Witch, hone in on the authentic me. They tap into my vitality center and bring a smile to my lips and cheeks and eyes. Mostly, they remind the seeker in me to follow my own recipe for Enlivenment: Listen, Play. Write. So, I say, keep asking that age-old question, who am I? But, today consider add a fresh twist by starting with, what enlivens me? This entry was posted on March 5, 2018 by Mariah in Uncategorized.